Noise and vibration caused by the constant use of treadmills and strength equipment can cause unwanted grief from residents, guests or neighbouring tenants. 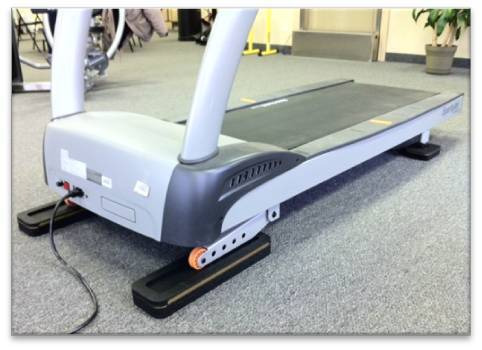 The quick and easy fix is to use the specially designed PPL treadmill isolation pads or strength isolation pads. These pads have been specifically engineered for sound reduction and elimination of noise transfer for treadmills and other fitness equipment. The Fitness Equipment Isolation Pads will accomodate all types of equipment. Don’t let annoying sounds from the fitness room upset your guests, residents or neighbours. Fitness Isolation Pads have been engineered specifically to prevent unwanted noise from treadmills and strength equipment from being transmitted into other areas of your facility. The luxury of having a fitness room on an upper floor is quickly taken away when annoying vibrations from the treadmills or the pounding of the weight stacks are being transmitted through the building. The result is unsatisfied guests, members or owners residing close to the fitness room. 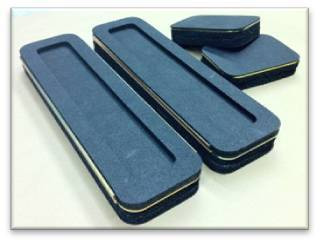 Isolation Pads are a mix of vibration isolators made from superior vibration damping materials. 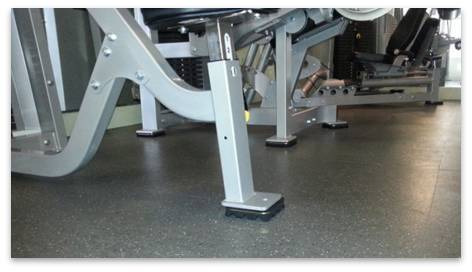 By combining ultra high performance elastomers with bearing plates, these isolation pads dramatically reduces the pounding noise that can transmit though your fitness facility. With 99% vibration isolation efficiencies and over 40dB noise reduction commonly achieved, Fitness Isolation Pads effectively prevents noise transfer to other areas of your building. Standard Thickness 1-1/2” Standard Thickness 1-1/2"